Do not catch fright when cosmic style background music begins to play when opening the puzzle and continues to play until closing the puzzle. If the music is not welcome, simply reduce the volume or switch off the computer loudspeakers. Double Click the EXE file that was downloaded. A full screen window opens displaying the four jigsaw puzzles in the pack. The number in the bottom-right corner of each puzzle icon is the number of pieces in the jigsaw puzzle. The symbol made up of 4 yellow puzzle pieces means that the last time the jigsaw puzzle was attempted, it was closed before it was completed. When opened again, the pieces are assembled and arranged as they were when last closed. Choose a jigsaw puzzle by double-clicking its icon. 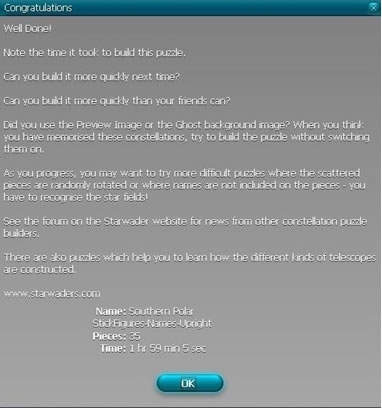 The pieces are then scattered across the screen and a message pops up describing the puzzle. Click OK to continue. 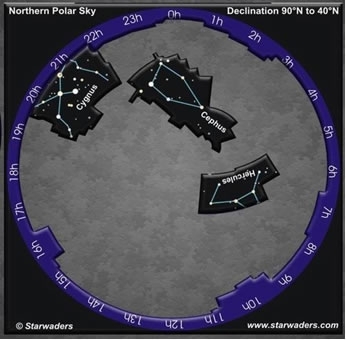 Note that the frame of the constellation is also a piece of the jigsaw puzzle. It may be scattered to the edge of the screen. Drag and rotate it as you would any other puzzle piece. Build the jigsaw puzzle until it is complete. A congratulatory message appears. Note the time that it took to build the puzzle. Look under the whole puzzle by pulling it way over to one side of the screen - even half off the screen. Sometimes a piece hides under the top left menu block. Other times there may be only a small piece along one of the edges of the screen. If the piece simply cannot be seen, draw a marquee from bottom left corner to top right to highlight (in red) all pieces including the almost built puzzle. Move the puzzle up, down, left and right and the hard-to-find piece will become apparent along one of the edges of the screen. 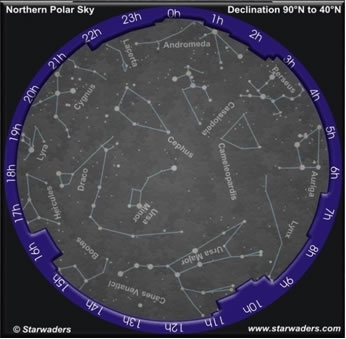 While still learning the constellation patterns, it helps to have a guide. The constellation jigsaw puzzles provide two kinds images to do this. In the top left hand corner of the screen is a small menu. (The menu can be dragged to any desired position.) Click on the Image button to open an image of the completed jigsaw puzzle. This image can be dragged to any desired position on the screen and be resized in the usual manner. 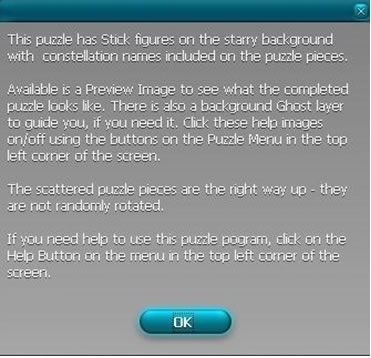 Click on the Ghost button on the menu to open a full size but transparent image of the completed puzzle underneath the puzzle pieces. 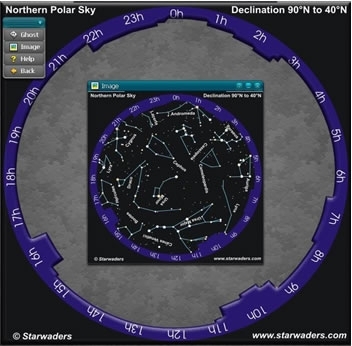 This underlay helps to show where a constellation must be placed. There are two ways of moving puzzle pieces. They are equally effective and the choice is a matter of personal preference. While it is picked up, rotate it in either direction using the mouse scroll wheel or rotate it clockwise only using right mouse button clicks. While it is picked up, (still without holding in the left mouse button), Drag the puzzle piece to where you think it belongs. Do not depress a mouse button while dragging. Drop the puzzle piece by applying a single click of the left mouse button. It is also possible to move a puzzle piece by picking it up with the left mouse button but NOT releasing the button. Drag the piece while continuing to depress the left mouse button. If you are dexterous enough, the piece can be rotated in either direction using the scroll wheel, not forgetting to continue depressing the left mouse button. When using a laptop, an easier alternative is to rotate the puzzle piece by clicking the touch pad right button. Drop the puzzle piece by releasing the left mouse button.